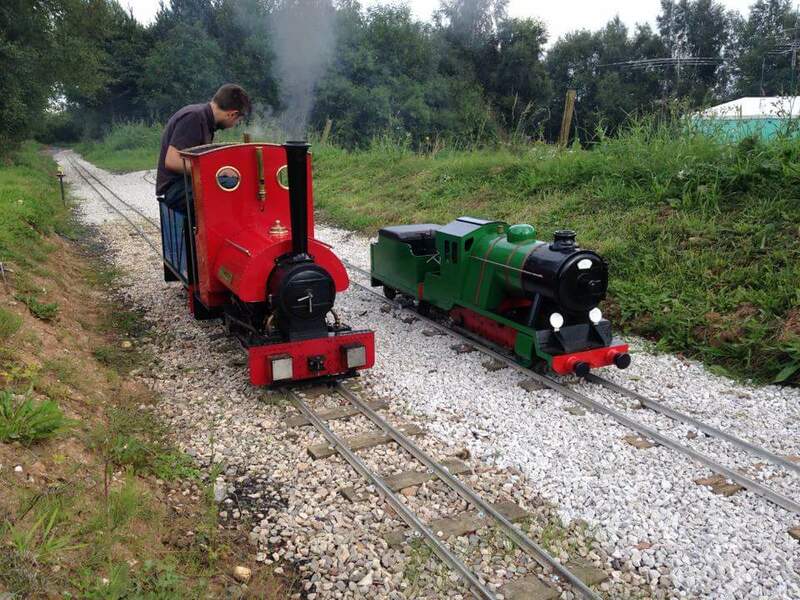 Foxfield Miniature Railway is a 7¼” ground level railway. Work started in 2007 with almost all of the work done by the junior volunteers ranging from 10 to 18 from the FLRS site. The Railway was funded by a grant from Staffordshire County Council who kindly donated us £5500 to get the railway started. The first trains moved around the railway in the beginning of 2009 but passenger carrying didn’t begin until 2010 when trains ran almost all weekends. Currently the railway is approximately 950 yards long. The railway has three stations; the first is based by the entrance to the FLRS site and is the main terminus of the site holding the ticket office loco shed and sidings. Then the railway turns sharply and steeply round to the right up a gradient of around 1 in 25. It then levels out on the main straight along the back of the site following the fence line to the FLRS overflow car park. At the end of the main straight there is a balloon loop bringing the trains back to the main line.